The Morris Museum of Art is currently exhibiting a selection of portraits from Keliy Anderson-Staley’s series, [Hyphen]-Americans: Tintype Portraits. 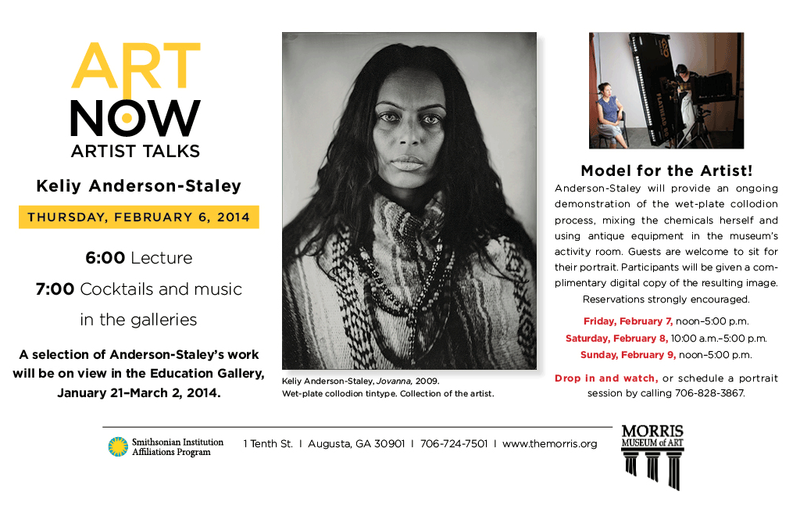 Keliy will be speaking on Thursday, Feb. 6 at 6pm as part of the museum’s Art Now contemporary artist series. Along with the lecture, Keliy will be giving free demonstrations on the wet-plate collodian tintype process Feb. 7-9, using local models. If you want to become part of the project and receive digital copy of your portrait, contact the museum (706-828-3867) to see if session times are still available. The lecture and demos are free to the public!